Oh, I do love a good bargain! There’s more great deals for you this week – have a peek! 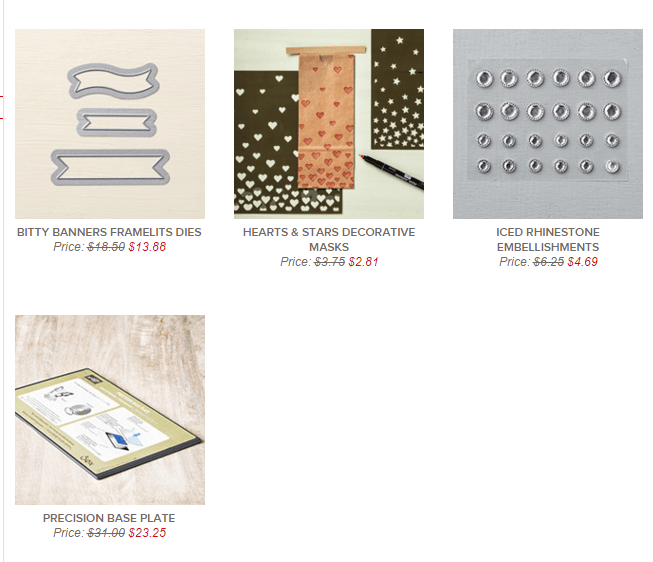 I have to confess – I have every item that is in this week’s deals! It’s true!! I did only just receive my Iced Rhinestone Embellishments, but they’re earmarked for family Christmas cards already! The Bitty Banner Framelits I’ve had, and used many, many,many times over since they first came out a catalogue or two ago, and I have such fun using the Hearts & Stars Decorative Masks! Let me see if I can find a project or two that I’ve used them on….be right back…. On this project, I used a different set of Decorative Masks, also available in the Annual Catalogue – the Happy Patterns set item #138313. 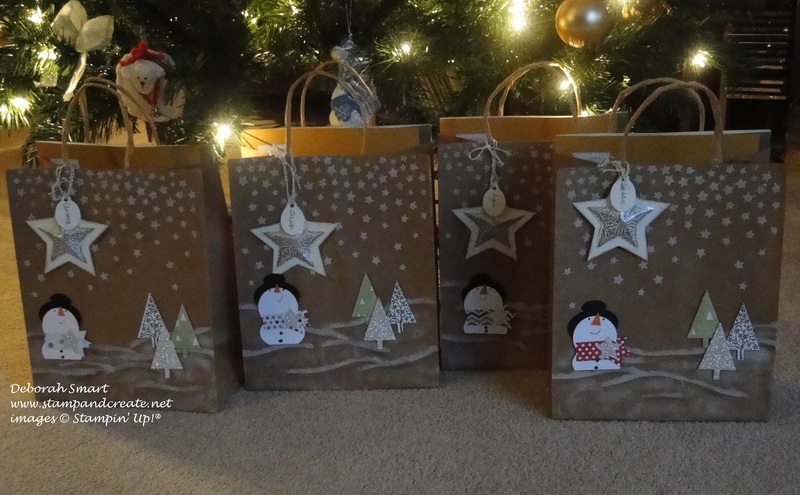 These are gift bags I made last year, using the Stars Decorative Mask – didn’t they turn out cute?! I love Craft White ink on Kraft paper bags 🙂 In fact, with the exception of the bags themselves, they were decorated entirely with Stampin’ Up! stamps, inks and dies, punches and papers. Speaking of shopping – I have some AWESOME NEWS to share with you!! You know how we’ve all LOVED the Woodland Textured Impressions Embossing Folder, and we were absolutely gutted to hear that it went onto the retiring products list – and in fact has already sold out? The Woodland Textured Impressions Embossing Folder (item 139673) has been so popular that we are going to do something that we don’t normally do: we’ve decided to bring it back in the 2016 annual catalogue! It will be available with the catalogue sneak peak in May 2016. While bringing an item out of retirement is not something we generally do, we just couldn’t ignore the fact that you sold so many of these embossing folders! What’s that about ‘sneak peak’, you ask? Well, you may remember me saying before that one of the great perks of being a demonstrator is that we get to see the new Catalogues and products at least 1 month BEFORE everyone else! Not only that – we get to BUY products one month early, too! Let me tell you – when it’s new catalogue time, you’re like a rock star with paparazzi – everyone is your new best friend, and wants to know what you know! 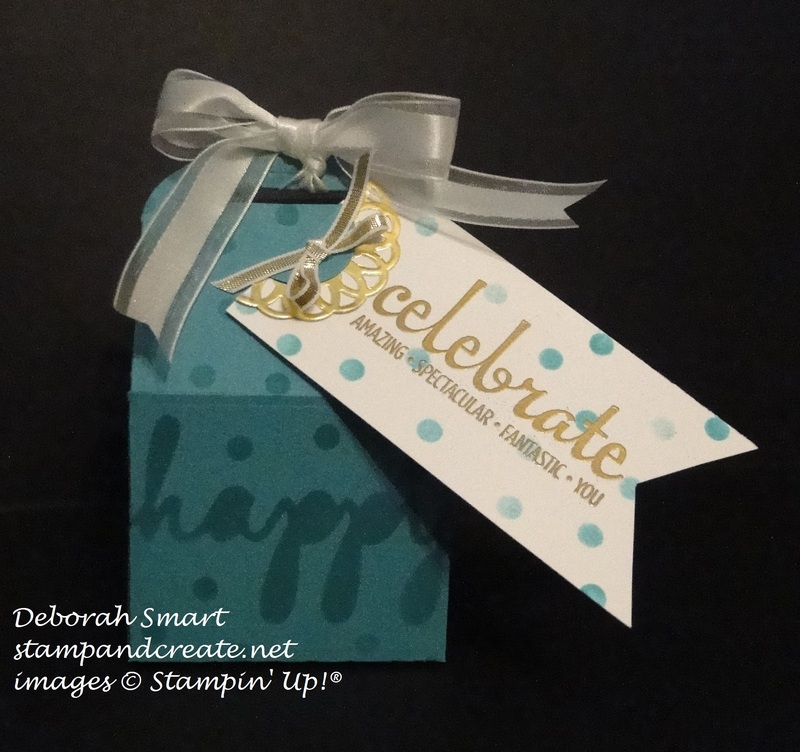 Okay – I’m off to do some more stamping! Gotta get those Christmas cards done, and in the mail! I’ll be back later this evening with my card for the new Paper Craft Crew challenge – see you then! Previous Previous post: Christmas Card Buffet Fun Times!